Let steep at least 10 minutes, then refrigerate to enjoy! 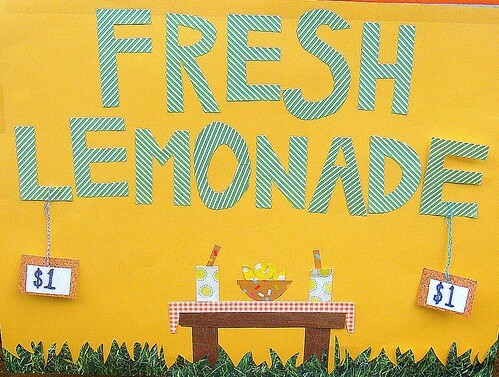 Do you make homemade lemonade? Let us know if you change this recipe up at all! Also, check out the “whey”monade recipe from Donielle- a healthy lemonade drink that contains some protein, minerals, and even probiotics! I put ice cubes, agave nectar, & half a lemon (well squeezed) into a martini shaker & shake well. I pour it into a large glass, and top up with low sodium club soda.